For expansive floor plans, impressive upgrades, and a higher quality of life, make your move to Sherwood Crossing Apartments & Townhomes. We offer plenty of choices, including studio, one, two, and three bedroom apartments and townhomes. With floor plans ranging from 610 to 1,305 sq. ft., we have the perfect space to meet your needs. Before you move in, our Morgan Properties team will complete a 101-point inspection to ensure your home is in perfect condition. 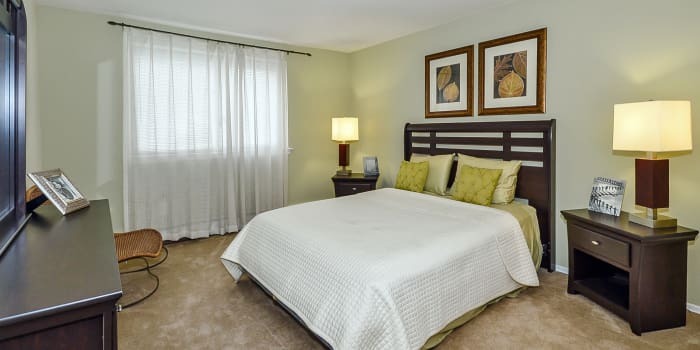 Our floor plans at Sherwood Crossing Apartments & Townhomes include all of the style and comfort you expect from a community managed by Morgan Properties. Creating tasty meals is easy in our upgraded kitchens. 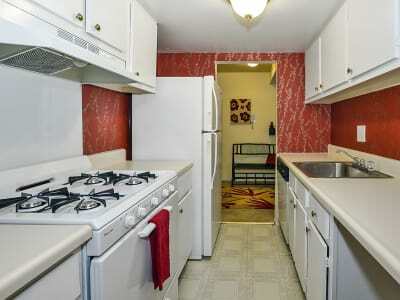 Available amenities include granite counter tops, Whirlpool appliances, maple cabinets and gas cook tops. A full-size washer and dryer is also standard in our homes for your convenience. When it’s time to relax and enjoy the fresh air, spend time on your balcony or patio. With so many incredible features, your new apartment or townhome is the perfect place to call home. Floor Plans Ranging from 610 – 1,305 sq. ft. Schedule a tour of your favorite floor plan at Sherwood Crossing Apartments & Townhomes in Philadelphia, PA, today.